Are you thinking about making a website for your services company? There’s a huge potential in services category, whether you want to work in people’s homes or on a commercial level. Starting a cleaning business website is like starting this business once more – you’ll need to plan everything from a scratch and prepare a good marketing strategy to be successful. We will show you why the best choice is to create an effective and impressive site using PE Cleaning Company WordPress theme. When considering creating a company website, it’s important to make research what you want. Perhaps you know how it should feel but you should see how other companies have executed their website goals. PE Cleaning Company is a multipurpose excellent solution that shows a combination of a great design and functionalities that can be implemented to any type of business. Using the multipurpose wp theme will simplify the whole process of creating a fully functional website. The demo site was included – you can see there possibilities of arranging a professional and functional website on fictitious car company example. 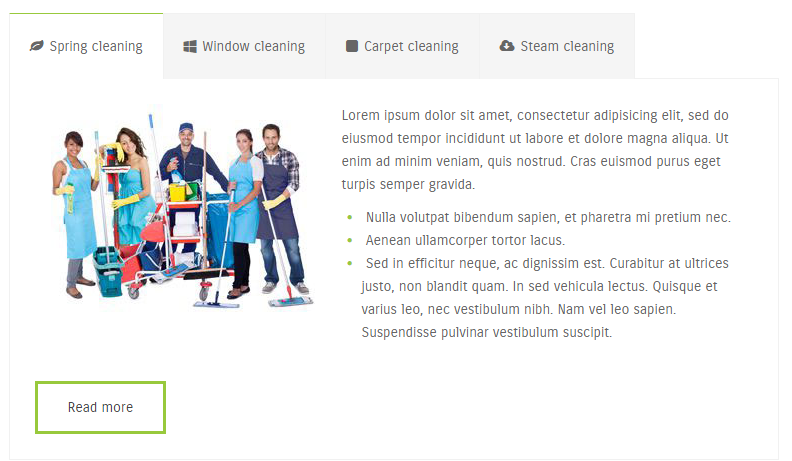 This theme package contains a demo site included, so you can check the example of a site prepared for a cleaning services company and any other similar use – housekeeping, carpet cleaning, maid service or maintenance. Which elements we consider as most important when creating services website? You wouldn’t buy anything from a website that didn’t have photos don’t you? So why would anyone consider working with a firm like yours if you do not show any images of your work. With PE Cleaning Company its easy – professional images of completed works (or still in development) are great selling tools. It’s the best way to show that your work is professional and clean. Photos are powerful. Make sure you use them to your advantage. PE Easy Slider – free simple plugin prepared to display image slides with title linked direct to your posts from selected category. 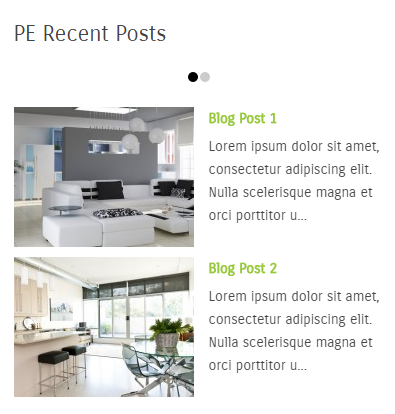 PE Recent Posts – free simple plugin that allows displaying image slides with title, description and reading more linked to your posts from selected category. Use the frontpage to share some slides about your company, use the slider to show interesting, clean and professional pictures, present your services and describe them. Websites should be for the benefit of the visitor. Buyers of your services do not care how long you have been in this business, how many stuff you have or how many car your company use. They do want to know what you do, what it means for them and what the results are of your work. Do not make it difficult for the visitor to check it out. Make sure you have a professional-looking website that lists your services and contact information. As you can see the demo site’s frontpage, we have prepared a special place where you can present eye catching icons as a presentation of your offer and several tabs ready to fill in with a full description of your services. These days, people who visit your company’s website immediately look for social media icons so they can easily connect with your brand via Twitter, Facebook, LinkedIn, and Google+. At the demo site’s frontpage bottom you can find the icons for the most popular social media platforms: Facebook, Skype, LinkedIn, Twitter and Google Plus. You can use them to link to your company page or allow your site’s visitors to share the content on their pages. Invest the time and money into making it appealing so that they’ll call you and secure your services. Additionally by using AddThis account you can fully integrate it with this multipurpose WordPress theme by placing your ID and adding social icons to your posts. 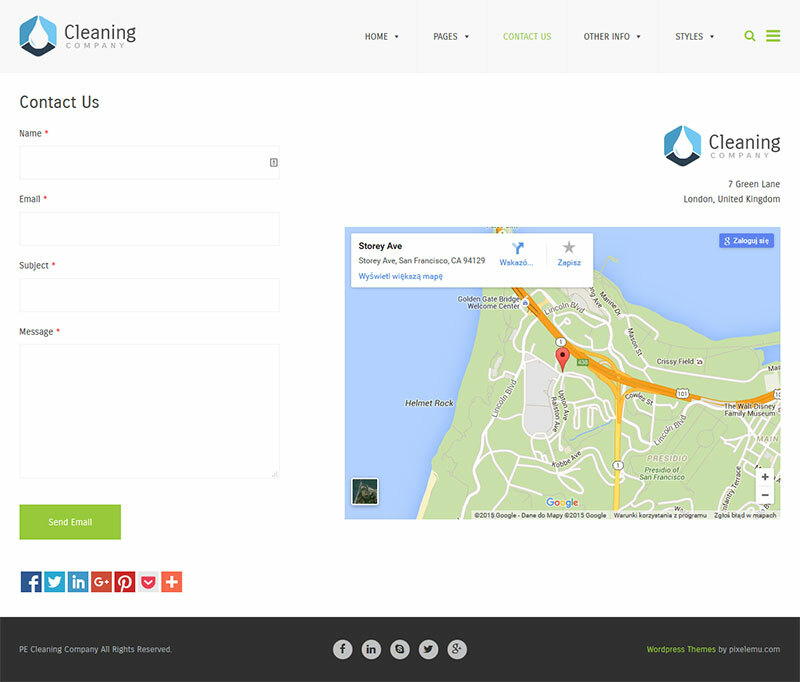 PE Cleaning Company frontpage contains also a visible place for a contact data and contact form. 1. 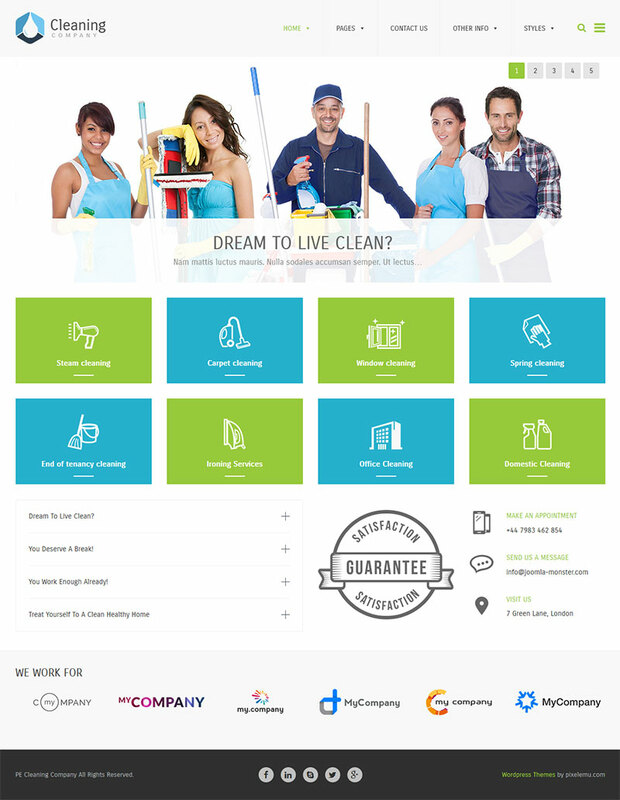 PE Cleaning Company is fast loading and SEO optimized. 2. You can easily configure logo, favicon, off canvas sidebar etc. 3. 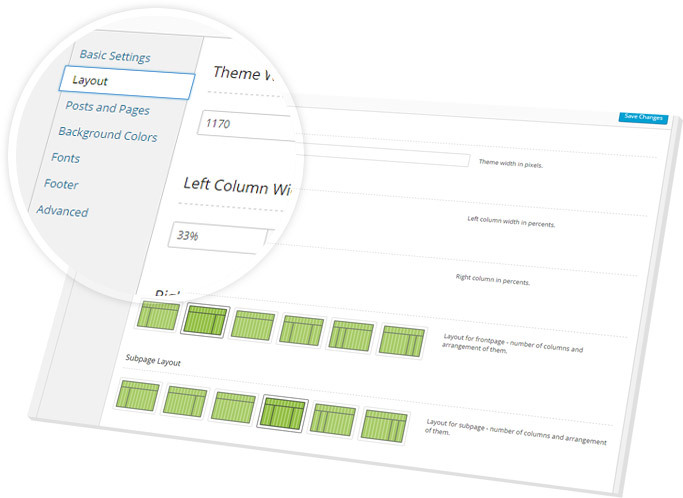 Layout is easy to configure (theme width and columns order). 4. You can set any Google or custom font from the list of 600+ fonts available. 5. You can modify background colors using ThemeCustomizer. 6. This theme is a 100% fully responsive. Creating a website for your services company using a WordPress theme like PE Cleaning Company is a low cost investment that will help you ensure visibility in the web and reach a wide base of visitors. As long as you keep your so created site with updated content, you should never have to worry about your future orders from customers. This article is written by PixelEmu, developer of best responsive and mobile friendly WordPress themes. Discover the best solution for your site. Easy to customize and supported! Follow them on Facebook, Twitter and Google+. What Is the Difference Between WordPress Themes and HTML Templates?